Supported Projects | Prayas, Inc. The Each One Teach One Charitable Foundation based in Mumbai, is committed to helping disadvantaged children achieve their full educational potential. Its main activities are located in the poorly equipped municipal schools of Mumbai that serve mainly children from the slums. More recently it has begun helping rural children through projects such as the Dhamote People’s Project. Established in 1994, Pratham is now the largest non-governmental organization working towards improving education of the underprivileged children. It has programs in several states, in both urban and rural settings. Sabrang Communications and Publishing Pvt. Ltd.
Sabrang was formed in 1993 to investigate communal discord and to publicize and support those who work towards fighting prejudice and bias. It publishes a monthly, Communalism Combat, which includes articles analyzing divisive politics in India and other countries. It has created Khoj, a secular education program for schools that tries to reduce prejudice and suspicion among children from different communities. 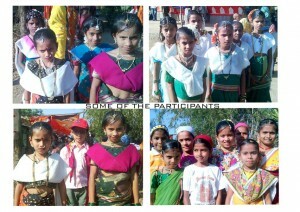 Aman is Sabrang’s pen pal program to link children in the South Asian countries. The Dhamote People’s Project is a striking example of the work accomplished by one concerned individual. With the support of the Kaivalya Mandiram Trust and EOTO Foundation, Mrinalini Desai, a retired high school teacher from Mumbai, organized villagers into the Dhamote People’s Project. The project’s emphasis is on education of children and creating opportunities for the daughters and daughters-in-law of the village to maximize their potential. Formed in response to the Gujarat genocide in 2002, CJP’s aims to promote communal harmony and combat bigotry and intolerance. CJP makes legal interventions in the Courts of Law to prosecute all those guilty of killing or maiming innocent citizens. CJP also assists others in petitioning the Courts for the redressal of grievances. It helps in setting up a lawyer or team of lawyers to effectively intervene in government appointed commissions of inquiry probing the causes of communal conflict. Through these activities, CJP aims to check threats to Indian Democracy and the Rule of Law, whether by governments or political parties or other organisations, groups or individuals. Mahila Sarvangeen Utkarsha Mandal (MASUM) works in rural region of Maharashtra with the goals of making women self-reliant, nurturing women’s physical and emotional health, reducing domestic violence and providing sustainable modes of development through local women’s active participation. The Cheru Resmi Center (CRC), affiliated with the church, is a charitable organization founded in 1983. Its mission is to help the marginalized fish workers from the coastal regions of Kerala. It provides education and vocational training to children and adolescents. The Foundation for Research in Community Health, established in 1975, is involved in research that has immediate application in community health. It works to evolve and support alternative models of health care. All their programs aim to demystify health and enable people to take charge of their own health. 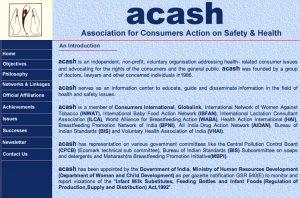 The Association for Consumers Action on Safety and Health (ACASH) was established in 1985 to deal with health related consumer issues. It focuses on promoting rational drug therapy and provides information on adverse drug reactions and hazardous drugs that have not been taken off the market. The HALO Medical Foundation works in 70 villages in Osmanabad district of Maharashtra to improve health care for the village folk. 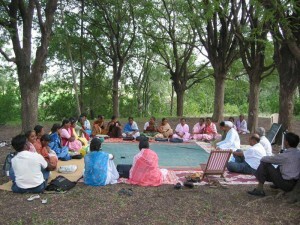 HALO’s “Bharat Vaidya Program” trains village women to provide basic health care to the rural poor. “Sawali” is a legal counseling and aid center for women. HALO has also facilitated micro-credit groups in the villages under the “Sanjiwani Mahila Bachat Sangh”. 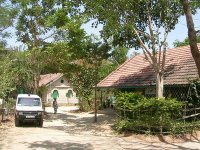 THI is a public charitable trust located in the Sittilingi valley which has a large tribal population. THI is dedicated to working for the health and welfare of the tribal communities located in the region. They run a 24 bed hospital, a community health program, an organic farming initiative and a craft initiative, all predominantly staffed by people from the surrounding villages. 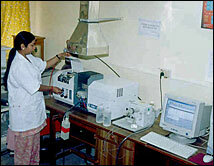 People’s Science Institute ( PSI) is a non-profit research and development organization. Its stated mission is, “To help eradicate poverty through the empowerment of the poor and the productive, sustainable and equitable use of available human and natural resources.” Operationally, it provides technical and managerial support to communities and organizations that work with them; implements development programs and undertakes public interest research.